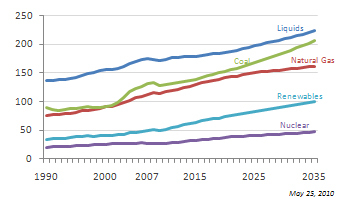 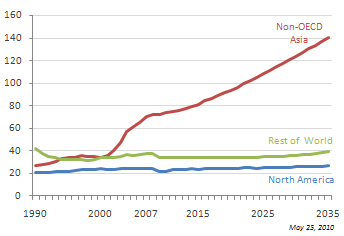 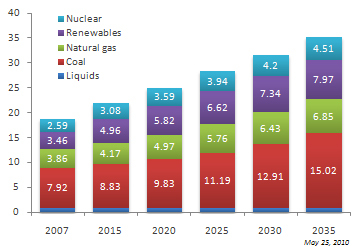 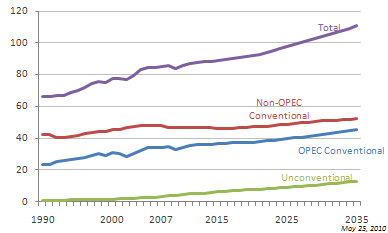 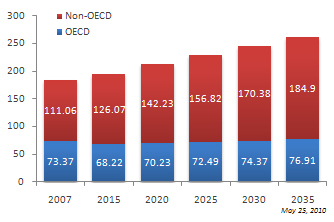 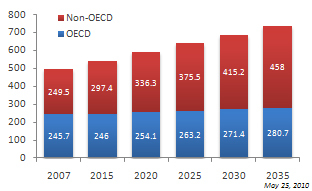 In the IEO2010 Reference case, which does not include prospective legislation or policies, world energy consumption grows by 49 percent from 2007 to 2035. 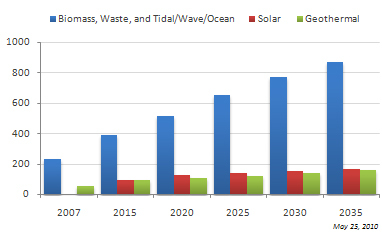 Typically, government incentives or policies provide the primary support for construction of renewable generation facilities. 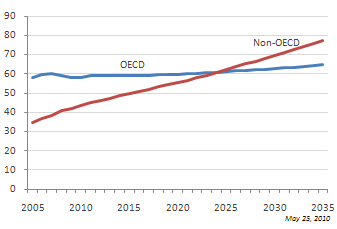 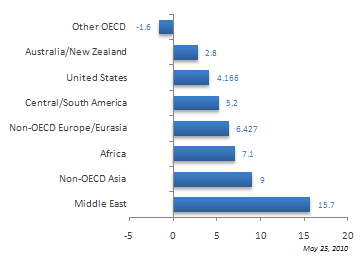 Typical households in OECD nations use more energy than those in non-OECD nations, in part because higher income levels in OECD nations support purchases of larger homes and more energy-using equipment.